September 2, 2011 December 6, 2017 / Julie Brook, Esq. Sure, title insurance is not the most exciting topic. But it is one that is rife with misconceptions, some of which can really mess with a real property transaction. It’s the attorney’s job to dispel the misconceptions by understanding the nature of title insurance and explaining to the client how it works. Title insurance is actually an odd duck in the insurance world and is very limited in its scope. Most forms of insurance protect the insured against the occurrence of a prospective event such as a fire that burns a building or a driver who injures a pedestrian. Title insurance does not. The validity, enforceability, and priority of easements, covenants, conditions, and restrictions, assignments and royalties, and other real-property-related instruments or matters. Title insurance does not cover a leaky roof or hot water heater and does not cover plumbing or kitchen appliances. Nor does it cover future title problems. Rather, it covers only past events that affect title of the party being insured, except for any past events that the policy specifically excludes or excepts. The preliminary report does not represent the current state of title to the property. Neither the preliminary report nor the title policy contain representations of the state of title. The preliminary report is an offer to issue insurance subject to specific exclusions and exceptions. Title insurance is not similar to casualty insurance. Rather, it is “risk avoidance” insurance that provides indemnity coverage and defense to the insured for loss or damage directly incurred by the insured, or incurred as a result of a third party claim, from a covered risk that exists on the date of the policy. The term “public records” as currently defined in title policies is not synonymous with the chain of title. Public records include documents that provide constructive notice, but not every recorded document in the chain of title provides constructive notice. Title insurance coverage is not permanent and does not benefit subsequent parties. Owner’s policies generally only benefit the named insured and not voluntary transferees of the property. Although loan policies generally do benefit assignees of the loan, coverage may be lost or impaired because of future loan modifications. Attorneys should also advise clients that title insurance companies are not required to issue title policies and won’t do it if the company finds the risks presented by the transaction unacceptable. 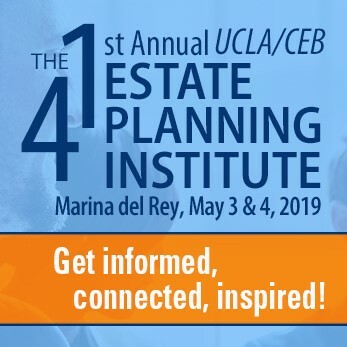 This is definitely a complicated area, but everything you need to know about title insurance is in CEB’s California Title Insurance Practice. And, because it’s so easy to overlook the importance of title insurance and the protection it can provide, check out CEB’s program Title Insurance: Transactions, Claims and Litigation, available On Demand.